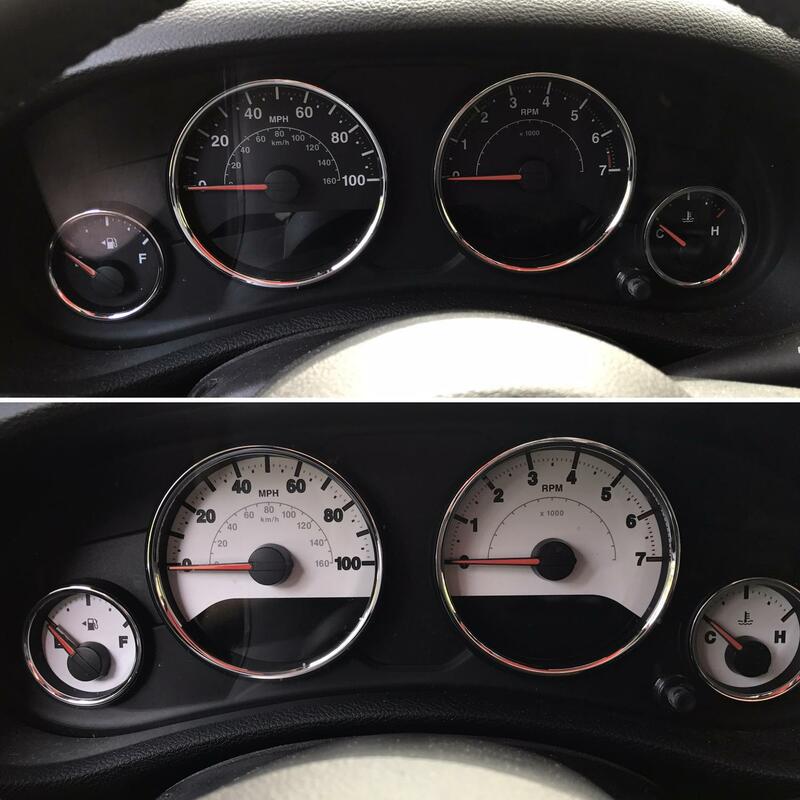 Give your lackluster factory dash a face lift with the Daytona Edition Gauge Face Kit by US Speedo. The new gauge face kits are made of lightweight, high strength polycarbonate materials. Daytona Edition Gauge Face Kits are custom fitted per year and model of vehicle, and designed to replace factory instrument faceplates. Five different colors are available to match vehicle paint jobs or personal tastes. Reuses factory gauge needles. Very easy to install, took less than half an hour. 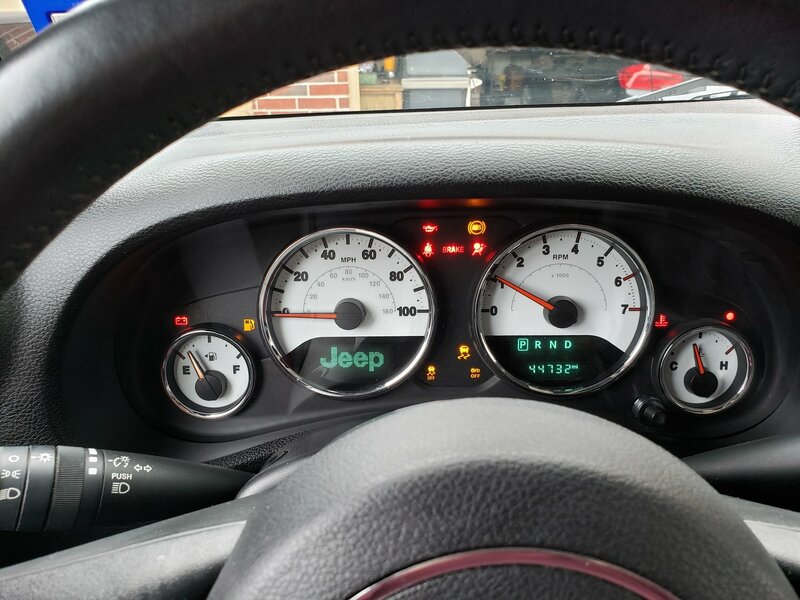 The one thing I didn't like about the Jeep when I bought it was the black gauge faces. Even in broad daylight I had a hard time seeing them at times. This is a huge improvement. If you have the black interior, I can't recommend this enough. Love it!!! It looks awesome in my Jeep!! Install was super easy!! !